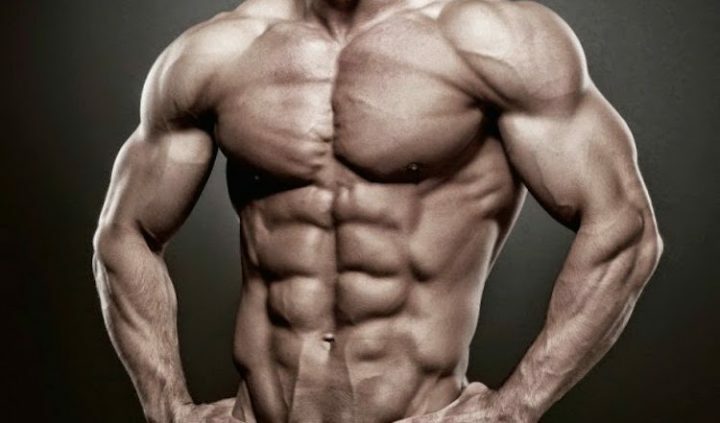 In Part 1 of this article I addressed a particular conundrum that most of us face at one point or another during our bodybuilding journey—attempting to stay lean while maximizing muscle growth. Inevitably, many have found that trying to accomplish both at once results in one or the other (and sometimes both) being compromised. But rather than accept this plight as an unalterable, in-born physiological limitation, I wanted to explore some of the measures that could be taken in order to help make this whole process a little bit easier. Eventually, I ended up on the topic of insulin sensitivity and its role in bodyfat management. I concluded by asking the reader how ewe could manipulate this hormone to our advantage. But before answering this question, I encourage anyone who hasn’t yet read Part #1 to go back and do so, as we are picking up right where we left off without re-laying any of the groundwork. With that said, what can we do to help improve this vital component of metabolic health? The most obvious course of action is decrease our carb intake, but for those who require a lot of carbs in order to maximize muscle growth, this approach will only hinder muscle gains. This is not something most bodybuilders are interested in. Fortunately, there are a number of things we can do in order to accomplish this goal, but when it comes to employing drugs/supplements there are literally 100’s of compounds which have been clinically proven to provide insulin sensitizing effects. Not all of these are readily available to the general public, but this is of no concern, as there are plenty of effective options at our disposal. Of these, metformin and berberine may be the most potent. Although metformin is available by prescription only, both drugs are pretty much equal when compared on a mg to mg basis. They are also inexpensive, especially metformin, which costs less than $10 per month even without insurance. Although I prefer berberine (mostly because I believe it provides greater number of health benefits), I think both drugs are great options for anyone looking to improve their insulin sensitivity via OTC/pharmaceutical means. In my opinion, nearly everyone should be using some type of insulin sensitizer, especially during the off-season when consuming large quantities of carbohydrates. With all the benefits that increased insulin sensitivity has to offer (we didn’t even scratch the surface), it would be foolish to bypass this category of supplementation simply because you don’t want to invest a few extra dollars into your supplement regimen. Along with insulin, cortisol is another hormone that we need to keep tabs on (this is especially true if we are dealing with heightened levels of stress at work, home, etc). For most of us, stress is a daily reality that we just can’t get away from…and you don’t have to be dealing with a divorce, job loss, or the death of a loved one in order to be afflicted with elevated cortisol levels. Even moderate stress can result in a significant boost in cortisol production, leading to impaired fat loss and crippling your ability to respond to growth stimuli. But what exactly does cortisol do that is so bad? A lot! 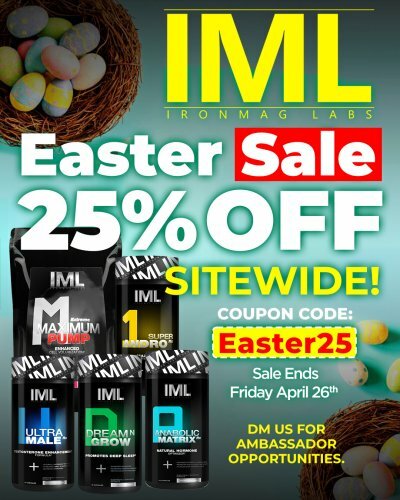 While this hormone is absolutely essential to the maintenance of human life, excess production results in a barrage of negative physiological effects in a multitude of areas relevant to bodybuilders. First off, cortisol promotes fat gain by interfering with thyroid function. It does this by both lowering overall thyroid output and hindering the conversion of T4 to T3 (the more active form of the hormone). It also decreases insulin sensitivity via an increase in blood glucose concentrations and by inhibiting the translocation of Glut-4. What about muscle growth? Well, it messes with amino acid metabolism in just about the worst possible way—by promoting protein breakdown (the destruction of muscle tissue) and also by stopping essential amino acids from entering the muscle cell (if aminos can’t get into the muscle, they can’t recover and grow). It would be bad enough if cortisol caused just one of these side effects, but causing both at once is nothing short of an all-out assault on muscle growth. Making matters worse is that cortisol acts as an indirect vasoconstrictor by increasing sensitivity to the adrenal hormones epinephrine and norepinephrine, which are themselves potent vasoconstrictors. This reduces blood flow to muscles, resulting in diminished muscle pumps and a potential decrease in nutrient delivery. Any way you look at it, cortisol is an anti-bodybuilding hormone, promoting both muscle loss and fat gain. When it comes to cortisol, eliminating the hormone is not wise—unless you want to die, but for all others the proper management of this hormone involves a delicate balancing act that brings levels down into the low-normal range without over-suppression. While cortisol levels are affected by virtually any type of stress (physical, mental or emotional), as well as diet, drugs, various hormones, and many other things, there are a few OTC products that have been proven effective for reducing cortisol levels without overdoing it. This is critical. Some old-school bodybuilding drugs, such as Cytadren, developed a reputation for causing severe cortisol suppression and have since fallen out of favor, but this hasn’t stopped some bodybuilders from continuing to experiment with the drug—oftentimes with disastrous results. In addition to its potent cortisol lowering properties, it is also known for causing dramatic cortisol rebound upon discontinuation, which can stimulate significant muscle loss while the body fights to restore homeostasis. These days few bodybuilders use the drug not only because of its poor availability, but because we have learned that taking such extreme measures are unnecessary. Of all the OTC products available today, 7-Keto DHEA and phosphatidylserine are two of the most noteworthy. Both have been clinically shown to provide significant benefits in terms of cortisol management without causing any of the negative side effects associated with stronger pharmaceutical preparations. Typical doses involve 200 mg of 7-ketho DHEA (split into two evenly divided doses), and phosphatidylserine at 600 mg/day (split into 2-3 equally divided doses). Estrogen management is another area of supplementation that most bodybuilders are pretty well educated in, but the drug is usually employed as a means of avoiding certain cosmetic side effects (i.e. gyno and water retention) rather than avoiding estrogen’s negative effect on bodyfat levels. In many instances, as long as the individual isn’t experiencing an unacceptable amount of sub-q water retention or starting to develop gynecomastia, they don’t really care what their estrogen level is. However, estrogen tolerance can vary tremendously from one individual to the next, with some people avoiding gyno even when their estrogen levels have climbed into the supraphysiological range. But just because you may be avoiding certain side effects, it does not necessarily mean your fat cells aren’t being negatively affected. Elevated estrogen levels, even when in the lower-end of the supraphysiological range, still tend to stimulate lipogenesis (the formation of bodyfat) and increase estrogen receptor density. This is one of the main reasons why women tend to carry more fat than men, particularly in areas like the hips glutes, thighs, and breasts. Don’t be fooled into thinking that just because you don’t resemble a water-balloon or have gyno that estrogen is not negatively affecting your ability to stay lean. In order to avoid estrogen-induced fat gain, some have gone so far as to reduce their estrogen levels as far as possible. This is another example of something that might seem like it makes sense on the surface, but which is actually counterproductive. Estrogen is an odd hormone in that both too much or too little will have a negative effect on body fat levels. Therefore, the goal should be to maintain estrogen levels within a normal range. Most of you will be familiar with the more commonly used A.I’s (aromatase inhibitors), such as letrozole, exemestane, and anastrozole. According to the research I have done, it appears there is no single best A.I., as each one has its own unique set of characteristics that makes it more or less suited to each individual. In steroid users and those at an increased risk for cardiovascular disease, I tend to recommend exemestane, as it typically has a milder effect on the lipid profile. But for those who respond negatively to exemestane, anastrozole is usually my next choice. Letrozole is normally only employed during the later stages of contest prep or to treat gyno, as it tends to provide a drier appearance than other A.I’s (as well as more side effects) and is more effective at eliminating gyno. On another note, bloodwork is essential for being able to determine when your estrogen levels are in the ideal range. Another useful, although somewhat controversial drug is GW-501516. As a PPARδ agonist, GW-501516 is one of the few non-stimulant drugs capable of inducing fat loss via an increased rate of oxidation. There are two main steps involved in the fat loss process: oxidation and lipolysis. As stated previously, lipolysis is a term used to describe the release of fatty acids from fat cells into the bloodstream (where they are more likely to be used by the body for energy), while oxidation describes the burning of fat for energy. Both of these steps must occur in order for fat loss to take place. If fat is not first released from the fat cell, it cannot be used for energy. On the other hand, if newly released fat is not used for energy due to insufficient oxidation, it will simply be re-deposited into fat cells, leaving us back at square one. If one of these processes (lipolysis and oxidation) begins to exceed the other, the slower process is said to be the rate-limiting factor. In other words, the rate of fat loss is “limited” by the weakest link. When it comes to fat loss, oxidation is usually the rate-limiting factor. Ideally, we want both lipolysis and oxidation to balance each other out perfectly, but rarely does that happen, nor is it even something we can accurately measure. However, what we can do is try to make sure that any potential imbalance is minimized. This make GW-501516 an excellent stacker with growth hormone, as its ability to increase oxidation pairs well with GH’s lipolytic effect. This accelerates the rate of fat loss beyond what can be achieved with growth hormone alone by strengthening the weakest link in the fat loss process. But this is not the only reason GW-501516 makes a good match with growth hormone. As awesome as growth hormone is, most of you know that it can have some pretty significant downsides too, especially in terms of metabolic health. When used at replacement doses this is not something we need to worry about, but when used at normal bodybuilding doses its injurious effects on metabolic health (via insulin resistance) are undeniable. Growth hormone has been clinically demonstrated to cause insulin resistance even when used at doses as low as 5 iu/day. As mentioned above, insulin resistance has a barrage of negative effects on the body, including diminished fat loss. At this point you may be wondering how growth hormone is able to cause such a significant reduction in bodyfat considering its potent, negative effect on insulin sensitivity. The explanation is simple. Growth hormone’s lipolytic effect is so powerful that it basically overpowers insulin resistance’s negative effect on fat loss. So, when using growth hormone to drop bodyfat it is like taking 2 steps forward and 1 step back. You will still end up in the green after all is said and done, but maximum results are not obtained. By stacking GW-501516 with growth hormone you are promoting fat loss through two primary mechanisms; by reversing GH’s negative effect on insulin sensitivity and by accelerating the body’s rate of oxidation. There are a number of other fat loss agents on the market that have proven themselves effective both in the lab and in the gym (injectable L-carnitine is a good example). All of these can help you keep the fat off as you go about achieving your muscle building goals, but what makes the previously mentioned products special is the manner in which they promote fat loss. Not only do they lack any negative effects on lean mass accumulation/retention, but the majority actually have a positive effect on lean mass levels. This makes them completely suitable for anyone prioritizing muscle growth, as well as for those engaged in contest prep. Even better is that they don’t appear to cause any significant side effects (GW-501516 may be an exception, although the jury is still out), when used responsibly over the long-term. This is in significant contrast to other fat burners, most of which have an undesirable side effect profile and can only be administered for a relatively brief period of time. You may notice that I left certain drugs out of the discussion, such as clenbuterol and ephedrine. I did this intentionally, as these drugs, despite the claim that they may help maintain or even build lean mass (I have not noticed this to be true in my experience), are not suitable for extended use. They simply have too many side effects on organ systems I would rather avoid, such as the cardiovascular system, adrenal system, etc. In my opinion, when trying to determine which drugs are ideal for long-term use they must meet the following criteria. One, they must support lean mass gains (or at worst have a neural effect). Two, they must promote improvements in overall health (or at worst, have a neutral effect). Everything mentioned here, including low-dose growth hormone, insulin management, cortisol management, estrogen management, GW-501516 (a PPARδ agonist), and injectable L-carnitine all meet this criteria.